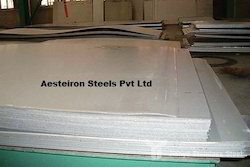 Aesteiron Steels Pvt Ltd is one of the leading manufacturers, suppliers and exporters of SS Sheets. SS 310S is an austentic heat resistance alloy with excellent resistance resistance to oxidation under mildly cyclic conditions through 2000°F. Aesteiron Steels LLP, is a customer focused enterprise that aims at offering a commendable range of Carbon Steel Sheets. All our products are manufactured using supreme quality steel, which we source from authorized vendors of the market. The resistance against corrosion, ability to withstand high temperature and excellent finishing of these products, make our plates and steel suitable to be used for varied industrial applications. Aesteiron offered range of sheet is made from high quality material that is bought from the trustworthy supplier of the market. These products are tested on numerous quality parameters under the supervision of our best quality experts. These products are widely demanded among our clients for their excellent finish and durability. Corrugated sheets is excellent fit for installations like terrace gardens, garages, verandah extensions etc, as well as industrial north lighting and strip lightening at minimum structural cost. 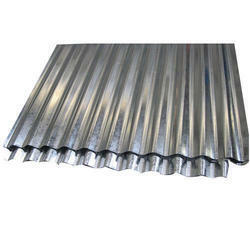 We offer quality range of Duplex Steel Sheet, which is durable, and corrosion free. These Sheets are offered in various specifications, shapes and sizes. It is precisely designed and manufactured with optimum quality basic material and modern tools in accordance with ongoing market standards. We also meet customized requirements of our clients are widely used in a range of applications like structural, mechanical and general engineering purposes. 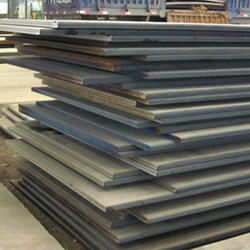 Aesteiron Steels LLP, is engaged in offering Mild Steel Sheet. By keeping in mind the variegated demands of our valuable customers, we are trading and supplying MS Sheet. Mild Steel is formed in sheets and coils, which are manufactured from slabs above recrystallization temperature. We have In house facility for HR Sheet Coil De-coiling at our premises which enable us to provide Cut to length sizes in sheets. Aesteiron Steels LLP, engaged in providing an exclusive variety of Stainless Steel Coils. Our professionals able to provide stainless steel coils that are applicable to various industrial and other uses. These coils available in varied dimensions as to meet the requirements of the customers. 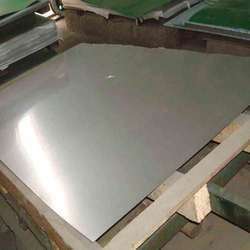 In order to keep pace with never ending demands of the customers, our company is instrumental in presenting an excellent quality assortment of Titanium Sheet. We offer titanium sheets which are precisely manufactured by our competent workforce using best quality material and latest technology. 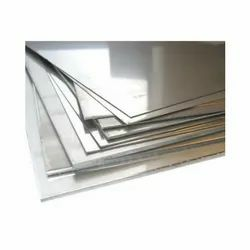 The given titanium sheets are well checked from our side so as to deliver defect free range. 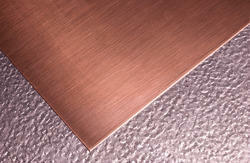 These titanium sheets are accessible on several specifications as per the needs of customers. Molybdenum has a very high melting point so it is produced and sold as a grey powder. Many molybdenum items are formed by compressing the powder at a very high pressure. Most molybdenum is used to make alloys. It is used in steel alloys to increase strength, hardness, electrical conductivity and resistance to corrosion and wear. These ‘moly steel’ alloys are used in parts of engines. Other alloys are used in heating elements, drills and saw blades. Molybdenum disulfide is used as a lubricant additive. Other uses for molybdenum include catalysts for the petroleum industry, inks for circuit boards, pigments and electrodes. Aesteiron Steels LLP, is one of the leading stockist, suppliers and exporters of Hot Rolled Steel Coil. It is available in various grades, sizes & specifications. General structural steel and welding structural steel are used in the constructions of steel structures, bridges, ships and automobiles. 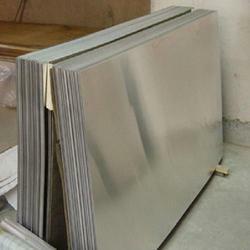 Aesteiron Steels LLP, is Stainless Steel Sheets Suppliers & Stockist. we offer these sheets and coils in distinguished sizes, thicknesses, and dimensions. 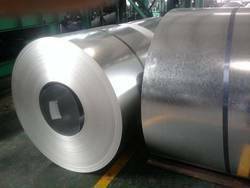 Stainless Steel Sheets is extensively used in industries like oil & refinery industries, automobile industry, textile industry and pump industry. These sheets and coils are fabricated using grade stainless steel implementing advanced technology. This product range is widely accredited for its outstanding characterizations like sturdiness, accurate dimensions, corrosion resistance and longer service life. Aesteiron Steels LLP, provides a broad range of Steel Sheets in distinguished sizes, grades & specifications, dimensions and finishes. It highly durable which allows hassle free functioning at client’s end. It is well known for corrosion resistance, durability and high tensile strength. 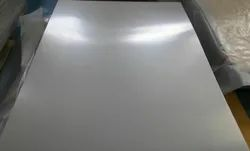 Stainless Steel Sheet Grades are 301, 302, 303, 304, 304L, 309, 309S, 310, 310S, 316, 316L, 321, 321H, 330, 347, 410, 410S, 416, 420, 430. 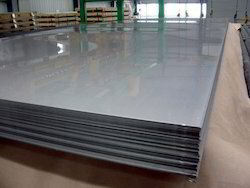 Aesteiron Steel LLP, is Galvanized Steel Sheets Stockist & Supplier. 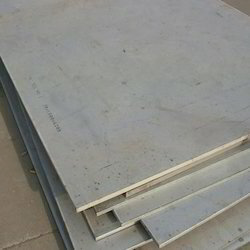 It is available in various grades, sizes & specification Our offered galvanized steel sheets are available in different lengths as demanded by the customers. 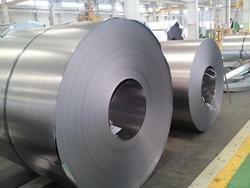 Some of its features include available in hot dip galvanized steel coil/sheet finish form. It is available in JIS, ASTM, EN and other industry standards. It can also be provided with zinc coating support, surface structure of zero spangle, minimized /regular spangle and others. 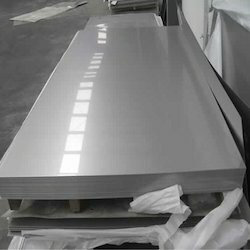 Galvanized Steel Sheets features are superior construction finish which is made of steel/aluminum metal and coated finish like zinc alloy and others through continuous hot dip process. It has properties like superior resistance to corrosion as well as longer service life. Some of its features include optimum heat resistance support, highly resistant to oxidation and discoloration, superior heat reflection, allows for easy construction support, suitability for use in areas like home appliance, automobile industry can be provided with regular, zero & minimized spangle support among others. Alloy 20 is an austenitic nickel-iron-chromium based alloy with additions of copper and molybdenum. Its nickel content aids in its chloride ion stress and corrosion resistance. The addition of copper and molybdenum provides resistance to hostile environments, pitting and crevice corrosion. Chromium adds to its resistance of oxidizing environments, such as nitric acid, and columbium (or niobium) reduces the effects of carbide precipitation. Most welding methods can be used when working with Alloy 20, except for oxyacetylene welding. It can also be hot formed using the same forces required to hot work austenitic stainless steels. In terms of machineability, outstanding finishes are possible using the same set-up and process speeds used for austenitic stainless steels, such as Stainless Steels 316 or 317. Aesteiron are involved in offering a wide range of Coils, which is used in box springs and inner-springs. We offer wide range of steel coils, stainless steel coils, nickel alloy coils, duplex steel coils, carbon steel coil, industrial coils and many more. These coils are also used to cure of abnormal blood vessels. We offer our range in different technical specifications in terms of grades, sizes, and finishes. These coils are acknowledged for their dimensional accuracy, better performance, and rust resistance features in numerous industries. Increasingly being specified, particularly in silvery metallic finish for roofing applications (standing seam and sandwich panels). Gives exceptionally long life. Field experience of silvery metallic coated 55% Al-Zn in most environments indicates a life on roofs of over 30 years before major maintenance. Corrosion resistance in marine, industrial and rural environments is 2-4 times better than that of hot-dip galvanized steel. Cut edge protection is also substantially better than that of galvanized, 5% Al-Zn or aluminized coated steel sheets. 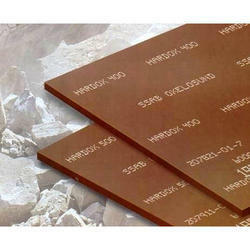 Resists temperatures up to 315ºC without damage or discoloration of the surface. The 55% Al-Zn coating gives excellent paint adhesion for both pre-painting (continuous coil coating) and post-painting if required. Product Description :17-4 PH is a martensitic precipitation-hardening stainless steel that provides an outstanding combination of high strength, good corrosion resistance, good mechanical properties at temperatures up to 600 ° F (316 ° C), good toughness in both base metal and welds, and short- time, low-temperature heat treatments that minimize warpage and scaling. This versatile material is widely used in the aerospace, chemical, petrochemical, food processing, paper and general metalworking industries. 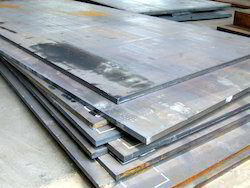 Product Description :We are placed among the noteworthy organizations, engaged in offering Alloy Steel Sheets. The offered sheets are well-manufactured at our vendor’s end with the best quality alloy steel and are available to our admired clients in varied specifications. Further, for flawless delivery, these sheets are quality checked on various quality parameters by our quality controllers. Moreover, these sheets can be availed by our valuable patrons at industry leading prices. 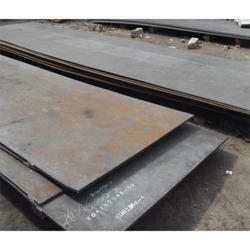 Product Description:We have emerged as a leading importer and stockiest of wide range of Pressure Vessel Steel Plates. These are procured from reliable manufacturers of the industries who are renowned for offering quality products. Our range is acclaimed for long service life, temperatures resistance and durability. Product Description:Backed by a diligent team of professionals, we are engaged in the supply and export of a premium range of Chrome Moly Steel. They are fabricated using high-quality stainless steel raw materials as per the prevailing quality standards. They are made under the supervision of skilled engineers and are brought into use in various industries. These products are well-known for their malleability and ductility. They are dimensionally accurate and are acclaimed for their unique features like rust-resistance and abrasion-resistance. They facilitate ease of installation and maintenance. They are offered to clients in customized specifications at affordable prices. They are quality-tested by professional auditors and exported to our overseas clients through reliable shipment modes. We have in store an impeccable range of Duplex Steel Sheet & Plate for our valued clients. These products are manufactured by making use of high-grade basic material in complete adherence with the illustrated quality parameter of the industry. Keeping in view the divergent demands of the clients, we offer these products in different sizes and specifications. For our valued patrons, we are presenting exceptional quality Hardox Sheets. Qualities such as consistent performance, low maintenance, extraordinary quality and high efficiency make us ahead of its opponents. This product can be purchased from us at low-priced rates. Aesterion is highly rated in offering Hastelloy Sheets Weld Fittings to the clients. This product is provided by professionals is extensively used in different industries. Offered range is manufactured by making use of good quality raw material and contemporary techniques as per the standards penciled by the market. Hastelloy Sheets Weld Fittings is available in number of sizes, shapes, designs and grades. This product is known for attributes such as strength, quality corrosion resistance and hardiness. Offered range has lead to increasing demands among competitors. 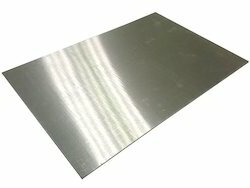 Product Description:We offer a wide array of excellent quality Inconel Sheets. These products are widely acknowledged for superior quality, durability, resistant to corrosion and smooth functionality. And they are renowned for excellent welding due to high resistant to carbonization and oxidation. Price may vary depending on product. For the diverse requirements of our clients we are offering an extensive range of MS Sheets. These MS sheets are manufactured using fine quality of raw material that ensures their high durability. Offered MS Sheets are stringently tested on various parameters by our quality controllers to render maximum client satisfaction. Additionally, these are available in various specifications as per the requirements of our clients. Aesterion is one of the leading companies in manufacturing, supplying and exporting of Pipe Fittings, Tube Fittings etc and Exporters & Dealers of Industrial Raw Material in the Form of Pipes, Tubes etc. This Pressure Vessel Steel Sheet is quite stable, durable, reliable and strong. They have got very wide and important application in many industries greatly appreciated by our clients and is easily available in different regions throughout the country. This Pressure Vessel Steel Sheet is very easy in installation and come at very companionable price tag as compared to the high quality of the product. From our wide range of products, we are offering a wide array of Stainless Steel Sheet for Ship Building. 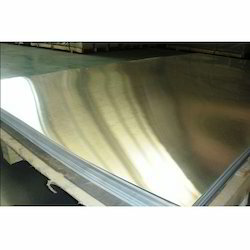 Offered Stainless Steel Sheet are available in various specifications. Adding to all this, our clients can avail this products at very nominal rates. Magnesium alloys have traditionally been specified by designers because of their favorable strength to weight ratios. Magnesium is approximately two thirds the density of Aluminium and a quarter that of Steel. Some of the more recently developed Magnesium alloys have also improved resistance to corrosion and better all round mechanical properties, especially at elevated temperature. The growing number of available Magnesium alloys are divided into two groups: casting alloys and wrought alloys. Wrought product forms (described below) include both extruded sections and rolled sheet/plate along with tubes and forgings. Various heat treatments are used to attain maximum strength and machining of most Magnesium alloys is excellent. Applications for Magnesium alloys can be found in aerospace and Motorsport sectors where strength combined with reduced weight are of critical importance. Gearbox components, pistons and casings are typical applications. Magnesium forgings are becoming more popular with designers for high temperature applications. New alloys continue to be developed and more recent applications have included electronics and nuclear engineering. We are involved in manufacturing and supply an extensive range of copper alloy Sheets & plates, that are trusted for their various salient features like corrosion resistance, durability, high tensile strength etc. The offered sheet is precisely designed under the direction of our expert quality controllers utilizing quality assured raw material in compliance with the international standards. In addition to this, this sheet is rigorously tested on various quality parameters to ensure high durability at the users end.